A generation ago, patients were largely dependent upon the physicians they consulted as to how best to deal with a disease like cancer. Nowadays there’s Dr Google, replete with a virtual tsunami of information offered by all kinds of sources, from experts equipped with evidence-based facts to people selling products or outright quackery. Unfortunately, Dr Google doesn’t always know what’s best. The trick is to know how to tell the difference, especially since the disparate guidance provided can become a matter of life or death. “It’s easy for people to land on a site filled with misinformation that leads them to make decisions that may not be in their best interests,” Dr Lidia Schapira, medical oncologist at Stanford University Medical Center, told me. She is editor of the very reliable site, www.cancer.net, that provides clear, scientifically vetted information about cancer and its treatment for patients, their families and friends. People looking for the latest iteration of snake oil will surely find it on the web. Steer clear! The cancer society cautions to beware of any postings that make claims like “scientific breakthrough,” “secret ingredient,” “miraculous cure” or “ancient remedy,” as well as products offering money-back guarantees, available from only one source or said to cure a wide range of ailments. In addition to providing valuable information and guidance to trustworthy sources, the internet can help patients glean psychosocial support through online groups. In a review of 170 studies of patients who use information technology, Danielle Gentile of the Levine Cancer Institute of Atrium Health in Charlotte, North Carolina, and her co-authors found that social media communities can be very helpful to cancer patients, especially those who lack personal social support. Cancer patients can converse with others, anonymously or otherwise, about emotional and spiritual issues and glean helpful firsthand tips on dealing with treatment-related issues. 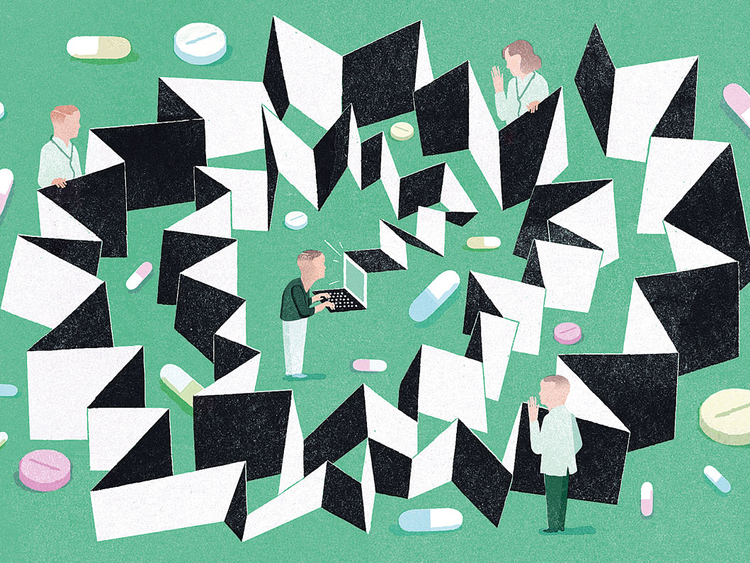 But while some online communities “are curated by medical professionals, others may be posted by people who have no scientific knowledge,” Schapira cautioned. The information patients glean through such lay communities is best discussed with their doctors lest they be led down the garden path of bad advice. She also suggested that patients not be pressured to research their cancers until and unless they are emotionally and intellectually ready to deal with the information they uncover.